It’s hard to imagine anyone calling C.S. Lewis “unlearned” on any topic pertaining to biblical theology. And so the humble posture C.S. Lewis takes towards the Psalms casts an inescapable floodlight on my own inadequacy to tackle the most quoted book of the Bible! 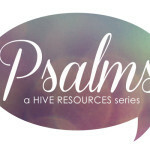 I hope we might “compare notes” on what God is teaching us through the Psalms. 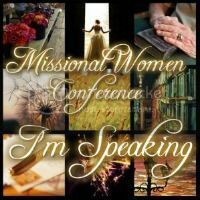 I hope that God, through his Spirit, will illuminate his Word in our hearts and give us the courage to invite these songs of praise to change us. That’s what the word ‘Psalms’ means – literally. The Hebrew is tehilim or ‘songs of praise.’ Composed of numerous authors and spanning 1,000 years of biblical history, I guess you could think of the Psalms as an ancient songbook with eternal resonance. And even the very structure of this divine songbook speaks to our heart. 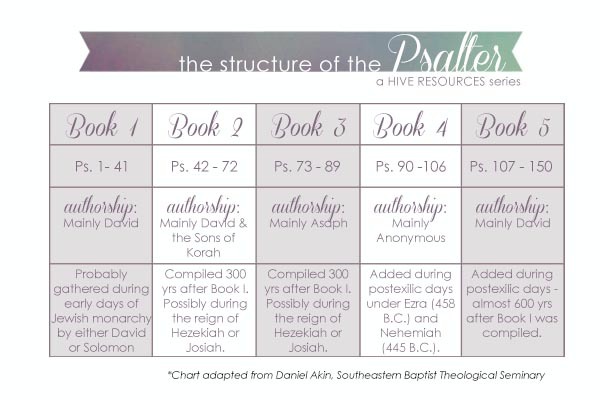 Scholars tell us Psalms is divided into 5 books. Blessed be the Lord forevermore! Amen and Amen. The benedictions of all 5 books of the Psalms call you to do one thing: PRAISE Him! Book 1, 2, and 4 all close with “Blessed be the Lord God of Israel” (Ps. 41:13; 72:18; 106:48). The God revealed in the Psalter is the God of Israel – meaning God is Lord over a people of his own choosing. Israel praised him because they belonged to him. And this King of Israel is the very same King of our hearts today – because he chooses us through His Son. As a ‘personal’ being, God not only steps into our lives in meaningful ways, but rather, he picks us as his family. For that reason, we praise Him, because we are his. We belong to God – not for a moment, not until the going gets tough, not until something better comes along. We belong to God “from everlasting to everlasting” (Ps. 41:13; 72:19; 89:52; 106:48). His relationship with us will not change, because he does not change. He is trustworthy. We praise Him because we belong to him forever. Very often we allow our emotions to direct our praise. We offer up praise when we ‘feel’ like singing or when our circumstances compel us to give thanks. This type of praise is not really praise at all; it is pride in disguise. That’s not to say that the Psalms teach us to paste on a happy face in the midst of suffering and difficulty. Far from it, the psalmists teach us how to sing as a measure of the joy given to us by an eternal and personal God. It is these two truths that keep the songs of praise penned by the Psalmists securely positioned in our own hearts despite failure, sin, disobedience, persecution, pain, and conflict. The Psalms teach us many things. But first and foremost, they compel us to praise him. Did you know that even the structure of the Psalms compels you to sing a new song? What song in the Psalms makes your heart sing? 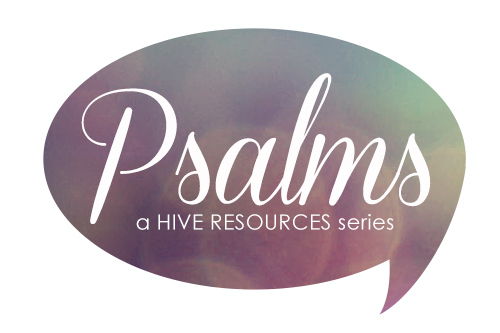 Don’t miss any of the Psalms series, subscribe today! 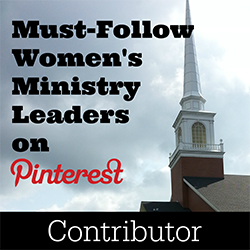 For information about the links in the post, click here. C.S. Lewis, Reflections on the Psalms (Mariner Books, 1964), 34. This information taken from material by Daniel Akin accessed via http://www.danielakin.com/wp-content/uploads/old/Resource_620/1%20The%20Book%20of%20Psalms.pdf. The same information was used and adapted in the graphic on this page. Thank you Dr. Akin! I’m excited to see you are writing on one of my very favorite topics and quoting from a favorite author as well. This was the perfect post to start my day! Praising Him because His love endures forever! I have always found reading through the Psalms difficult.I guess the poetic nature of it has something to do with it.Looking forward to delving into this with you. Nive, yes the poetry is difficult. But we can wade through it together!!! I really enjoyed reading your post and agree what a wonderful addition it was to my day. I appreciate your clarity in ‘describing’ the Psalms. I too am challenged with reading this book, perhaps as Nive mentioned because of the poetic nature. I lookforwardto following allong on this journey with you. Thank you for serving our awesome God in this way and being a Light for others to follow to know Him better! May God continue to bless you. Thank you for all the time and effort you are putting into this series! What a blessing it will be to dig deeper into this wonderful book of the Bible!